With modern vehicles the exhaust system is now more important than ever as your cars performance and driving characteristics are constantly being monitored via oxygen sensors and your cars computer alters specific settings to compensate. Any leak, blow or rattle should be quickly attended to ensuring your car drives at its optimum level at all times. MOT testing highlights weaknesses in exhaust systems when emissions fall outwith specific guidelines. 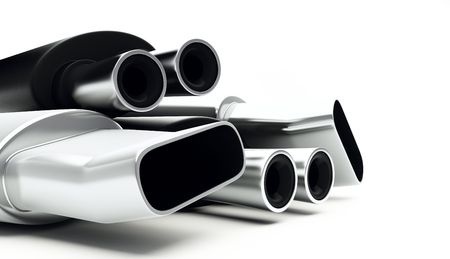 We have access to exhaust systems for all makes and models and are happy to quote fully fitted prices.